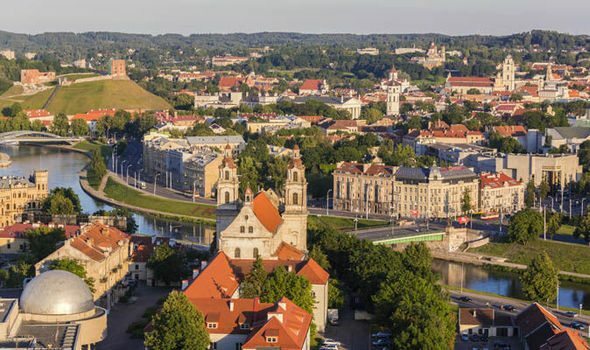 Lithuania is a young country which was the first to break away as the Soviet Union collapsed. It is embracing emotional intelligence as a way to create new organizations and a culture of human dignity. N: I am running my own company, Lyderystės Ekspertų grupė. I have two educations, one as a doctor and one as a psychologist. I work as a trainer and consultant. We position our selves as a company for whoever needs EQ training and consulting. We are proud being a Preferred Partner of Six Seconds because I always thought that things always have to be measured. I am a child of two math teachers. I love to be precise in terms of names and numbers. Now I can measure what seems can’t be measured. I have a goal to increase people’s awareness of EQ and of course to provide them with a plan and exercises for personal development day by day. We work in the business field and education field. I am happy to have modern tests to measure EQ for business and education. We are running Educational Vital Signs (EVS) in one of the leading Lithuanian schools. It is a private school, and they are positioning themselves as EQ based education. It is the third EVS training in Lithuania. I am happy and proud that we have modern tools. I have a noble goal to bring to Lithuania the best possible in terns of EQ. R: How has the reception been? R: Is there another word or concept that would translate better culturally? N: Yes, soft skills are a more understandable term. Here, if you ask what do you mean soft skills, they would answer it’s the ability to listen. They wouldn’t answer it’s about EQ. Emotional literacy is accepted better. Literacy in math, computers, it’s more understandable. RG: Tell me a little about the history of Lithuania and how that might be a factor in receptivity…What’s been happening in the emotional tone of the country. N: Lithuania is a young independent country, only 25 years of independence. All those years we are still looking for our way in terms of values and attitudes, and what I see of course we have a progress in terms of quality of communication between people, let’s say in the streets in the neutral environment. The most urgent context where we need EQ most is the educational system. It is improving, but very slowly. The teachers still have that post-soviet thinking and their attitudes. Their EQ is the key. R: What are those values that need to be renegotiated? How does that relate to EQ? N: During our trainings and workshops, w use the term mutual value in communication, we have attitudes like unconditional respect, like honesty, sincerity, productivity, optimism, goodwill, and wish to find a mutual goal, to look for something that we have in common, instead of looking for the differences. This is a way to come to a mutual goal. Those values and principles, integrity, honesty, walk your talk, those are very important, especially in schools. R: What is the educational system like, and how are they receptive to EQ? N:I am very happy there are very bright leaders in the education system. They find the courage the resources to start with EQ assessment and training for teachers and for the whole community, with EVS, so the things are getting better, financial issues are also important here. R: Is yours a public school system? The U.S. is quite layered and bureaucratic. Are the leaders free to say “Yes” to a school wide program? N: The majority of schools are very bureaucratic orders, however, there are bright people in the education ministry and they force the public schools to look for the creative solutions and the schools have some space to make their own decisions. There is some space to adapt to the system. It depends on people, like everywhere in life, especially the directors. We have projects in the primary public school, the director found the resources to make assessment for all students and teachers, and we had a four day workshop for about 120 children and administrators. R:Is this a pre- and post assessment? N: They had pre-assessment and we made a report for the whole class. And I gave them feedback for their parents and the whole class. We identified a problem of bullying in one class, and we found the children’s optimism and inner motivation were a weak point. And we provided teachers with modules and direction of how to implement them. I bought the book, in California, but it’s not Lithuanian. There are come recipes. Our teachers like to have “how to do” starting from the first step. R: How is the Lithuanian Foster care project with Barclay’s going? N: There have been some new activities. One was meeting the children and the employees, and one of the leading Lithuanian experts in recruitment and job selection. He told them how to find a job, how to behave in a work interview, how to find common areas of interest. It was accepted very well. Then we have sports activities. Children from the center came to the school where my son studied and they had some sports activities. The last event was when the people from Barclay’s and the children went to a place where they keep homeless dogs and they went and fed them. The children had a noble goal to make the world better. They are learning to give something without expecting anything back. Dogs are great at showing unconditional love. R: What are your long-term hopes for your partnership with Six Seconds? N: I have a need to translate into Lithuanian, EVS 360 and to get Lithuanian norms. Also, I would like to certify in Organizational Vital Signs (OVS), because I still see the capacity for Lithuanian business. But the main focus I will keep is in education, because there are some events already planned to implement EVS. Because no one school has the platform for the whole community, so that’s the great possibility. Usually they use different questionnaires to get everyone to the same platform. I saw the reactions, the meaning of the report and what kind of discussions it can provoke, to move an organization to a whole different level and see where their strongest areas and weakest areas are. Maybe I will take part in a coaching course and be certified as a coach. One more idea: Maybe it’s really time to start with an EQ certification in Lithuania. Language is a problem, English is not the friendly language for Lithuania. We were discussing having a translator, working together. R: What are the biggest challenges culturally? When we talk about Americans, we admire their positive attitude. That will be the biggest gap in terms of attitude.